Among those listening carefully to Netanyahu, were not a few Arab media personalities. What interested them and the way they saw the historic speech are not at all the same as the rest of the audience's reactions. The Arab press has evinced an inordinate interest in the future of Binyamin Netanyahu over the past few weeks, due to the various ongoing investigations against him and against several people who held key positions in his entourage. Arab interest is motivated by hopes for the prime minister's downfall and a resulting disintegration of Israel's Rightist camp, leading to the Left's assuming the leadership of the Jewish State. The Left, after all, has proven time and time again that it is willing to pay a higher price than Netanyahu for a piece of paper on which the word "peace" appears. 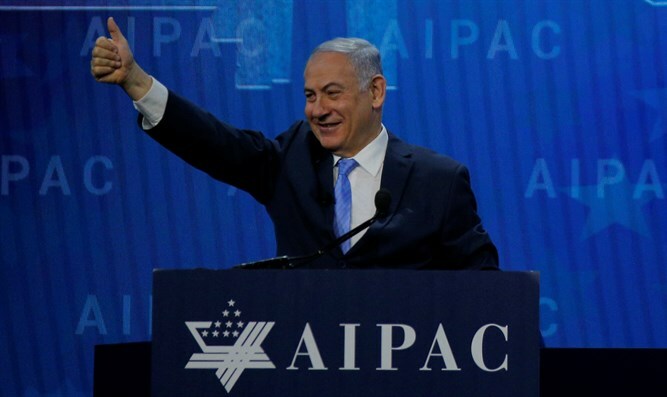 Netanyahu's speech at the AIPAC Conference last Tuesday awakened much interest in the Arab media, some of whose outlets actually sent photo teams to the event. It was clear to all of them even before the speech, that it would be mostly about the Iranian problem and Israel's efforts to get the USA to assume more inflexible positions on the issue – including general sanctions, military action against the Iranian forces in Syria and most crucial of all, rewriting the Iranian nuclear agreement. 1. Is Netanyahu speaking with from a position of stable power or have the investigations affected his self confidence? 2. How powerful is the relationship between Trump and Netanyahu, and how much support does the present US government have for the steps Israel is taking? 3. When and how will Netanyahu relate to the Palestinian Arab issue? The answer to the first question is clear. All through the speech, Netanyahu radiated stability, speaking as if there were no investigations, not of him nor of his close associates. In the first of the three parts of his speech, he spoke of Israel's accomplishments in hi-tech, agriculture, water conservation, diplomacy and military power. He spoke of Israel's contributions to world security, on tens of intended terror incidents around the world that Israel helped thwart due to its superior Intelligence system and its willingness to share the fruits of that superiority with other countries. It was clear to everyone that Netanyahu was referring to Islamic terror, and placing Israel in the forefront of the fight against the Islamic terror causing concern to so many people all over the world. The Arab media pundits, however, see Netanyahu's effusive self confidence as chutzpah, insolence, arrogance and boastfulness. 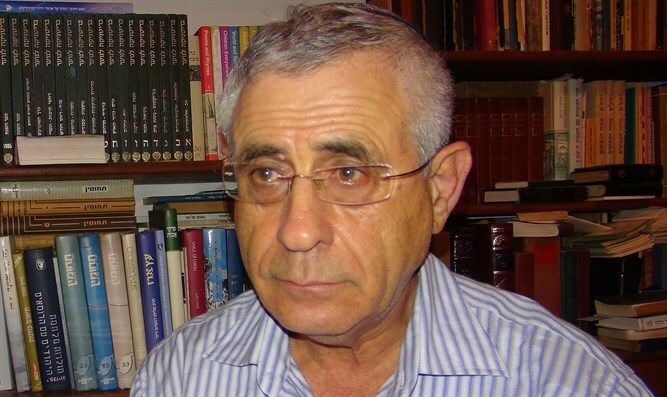 They are incapable of accepting Jews in a way that differs from that of Islamic tradition in which Jews must be at the mercy of Islam as "dhimmis", humiliated and in possession of only partial rights – while Netanyahu comes across as a person whose freedom they will be unable to subjugate to their will. Mustafa Barghouti, head of the Palestinian Initiative Movement, told the media that Netanyahu's speech was filled with hubris and chutzpah, sounding as though the Israeli Prime Minister thinks he runs the world. In their view, Netanyahu spreads lies about the Palestinian Authority leadership and Palestinian Arab "militants" (read that "terrorists"), governs over an occupying racist Apartheid state, while the only thing behind his actions is the personal fear of the criminal mess and acts of corruption of which he is accused. Another Palestinian Arab spokesperson and member of the PLO Directorate, Dimitri Diliani, fumed at Netanyahu's attempt to divert the world's attention from "the biggest problem of the Arab world" which is, of course, Israel, to the Iranian issue, which Diliani sees as being of marginal, minimal and negligible interest. His response stems from the fact that Netanyahu expended little time on the Palestinian Arab question, while he spoke about Iran for close to half the length of his speech. Egypt's Al Ghad Al Arabi Channel representative at the Conference reported that "AIPAC is the most powerful organization in the United States, and that Netanyahu wished to present himself as the Israel's savior so as to cleanse his name in the eyes of the Israeli public by means of his demonstrative thank you to Trump for recognizing Jerusalem as Israel's capital and moving the embassy to that city. " The reporter interviewed Dr. Ahmad Abed Alhadi on the streets of Washington, calling him an "expert on American issues" and Amad said that "the speech was in the main propaganda and rhetoric. He praised a good many people, including the former Canadian Prime Minister who was in the audience at the time and is one of Israel's greatest supporters." Dr. Ahmad revealed that "the speech was aimed at the ears of listeners as well as to the Israeli public, and that Netanyahu recorded a speech in Hebrew afterwards in which he said: " I have discussed the Iran, Iran, Iran issue with Trump, just as I did in the AIPAC speech." It is worthwhile noting that Netanyahu did not talk about the "deal of the century" that the Trump administration is preparing for the Palestinian issue, the reason being that Netanyahu apparently is not familiar with all its details, since Trump is keeping them close to his chest. The most important question interesting the Arab world is one Netanyahu did not address in his speech either – that is, how much leeway Trump is willing to give Netanyahu on both the Iranian and Palestinian issues. Concerning the Palestinian Arab issue, everyone is aware of the fact that the Mahmoud Abbas era is rapidly drawing to an end and that the chairman still has no agreed upon successor to lead the shaky and divided PLO and Palestinian Authority after he is gone. What will Israel, if it remains under Netanyahu's leadership, do the day after Abbas? Will it continue to deal with the PA or bury that Oslo-created entity into a freshly dug grave and re-assume the administration of Judea and Samaria, as was the case before the 1993 Oslo Accords? Who will follow Netanyahu and how will he relate to the Palestinians? Is Israel going to have elections which put everything else on hold for at least a year? Will Trump, busy with more significant and weighty problems than the Palestinian one -- North Korea, Iran and internal American issues – allow Netanyahu to turn the wheel of history back, cancel the Oslo Agreements and the others that brought the Palestinian Arabs to the threshold of their hoped-for state, or will he force Israel to continue to resuscitate the ailing Palestinian political entity even if its chances of independent survival are doubtful at best? In his speech, Netanyahu repeated twice that "we must stop Iran and we WILL stop Iran!" This sentence appeared in the Arab media reports as well, raising the question of just who the "we" refers to – Is it Israel on its own, Israel and the US, Israel and the US and he Europeans? An equally important question is whether this phrase was coordinated with Trump before the speech. If "we" refers to Israel, would Trump agree, after the fact or even a priori, to an Israeli attack on Iran – or is the "we" America and Israel, with Trump having already given his tacit agreement to American involvement in an active operation against Iran. Another question connected to the Iranian issue is the intention of Netanyahu's statement that "Iran is building an Iranian Empire incorporating Iraq, Syria, Lebanon and Yemen." Does Netanyahu's phrase "we will stop Iran" mean actively operating against Iranian forces in Syria? An Israel-only operation? Or perhaps a joint US-Israel operation? How will America react if Israel attacks Hezbollah, the Lebanese arm of the Iranian octopus? In this context, the Arab world well remembers the Second Lebanon War of 2006, when President Bush allowed Israel to wage war against Hezbollah for 33 days, while standing up for Israel and its right to defend itself at the UN Security Council. All these questions are derivatives of the unclear "we will stop Iran" statement made by Netanyahu, and they interest the Arab world much more than the Palestinian Arab problem. This fact infuriates the Palestinian Arabs, especially since they are accustomed to believing and repeating ad infinitum that a solution to the Palestinian problem is the key to solving the problems of the entire Middle East. To their astonished surprise and sorrow, they are beginning to discover that the Iranian problem is much more significant and worrying to Israel and the entire world than theirs. And Trump expressed his disappointment with them when he said, offhandedly: "So there won't be peace. That, too, is a possibility." Suddenly peace between Israel and the Palestinian Arabs has become just one "possibility" which will or will not come about, while the entire Arab world is witness to how Israel achieves US recognition of its capital, the US Embassy is on its way to Jerusalem, the Palestinian "refugee problem' is on the rocks, and all the Palestinian Arab expectations of a state have turned to nothing more than a "possibility." This is the picture the Arab world sees at the end of the past few months leading to Netanyahu's AIPAC Conference speech. Their only remaining resort is to hang their hopes on the police, state's witnesses, Attorney General Mandeblit, the state prosecutors and Minister Litzman (let us not forget the Draft Law) - this, in order to save the Palestinian Arab problem from remaining no more than a "possibility" in the hands of that racist, haughty and chutzpah-filled Netanyahu.